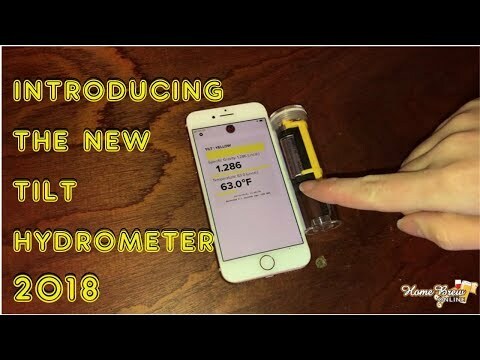 This is the new must have gadget for checking your hydrometer readings and temperature! The Tilt is a wireless hydrometer that instantly reads your brew's specific gravity and temperature on your compatible Apple iPhone/iPad or Android smartphone/tablet. Works on any Bluetooth 4.0 device, supplied with a handy Quick Start guide. The Tilt hydrometer allows you to check the specific gravity and temperature of your beer while it's fermenting, without ever having to open your fermenter or pour out any of your precious brew. This makes brewing more consistent and easy to track. The specific gravity is accurate +/- 0.002 within the Tilt's range of 0.990 to 1.120. The thermometer is accurate +/- 1 degree F (+/- 0.5 degree C). Range: Great reception and range. With the increased transmission power your Tilt will send data through larger, thicker-walled fermenters. Precision: Upgraded sensors. With an improved temperature sensor and accelerometer your Tilt will operate with more precision. Efficiency: We've reduced power consumption so more brews, less battery. New Look: Newly designed custom circuit board and harness. If using multiple Tilt Hydrometers for different batches of fermenting beer you must use a different colour for each batch. The app will not read multiple hydrometers of the same colour. Each Tilt comes calibrated and ready to go with a pre-installed battery. Just download the free app, sanitise your Tilt, drop in your fermenter, and start taking readings with your phone, tablet, or Tilt Pi. 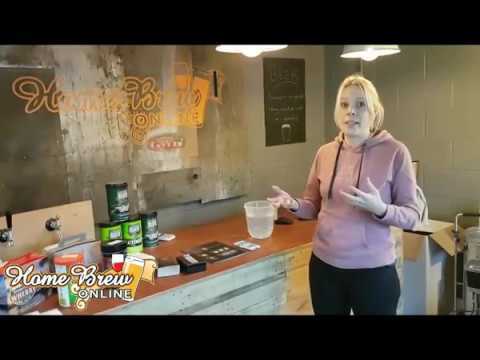 Our goal is to help homebrewers brew better beer. Designed for home brewing, the Tilt is a wireless hydrometer that lets you instantly read your brew's specific gravity and temperature on your compatible Apple iPhone/iPad or Android smartphone/tablet or Tilt Pi. Most Bluetooth 4.0+ devices will work with the Tilt. You can then optionally save the data automatically to the cloud using our free Google Sheets template or other 3rd party cloud platforms.